'Tis the season for changing things up a bit. It's desperately hot outside, but the inside of your home can be cool and crisp. A few little switches and you won't want to leave your chilly abode. 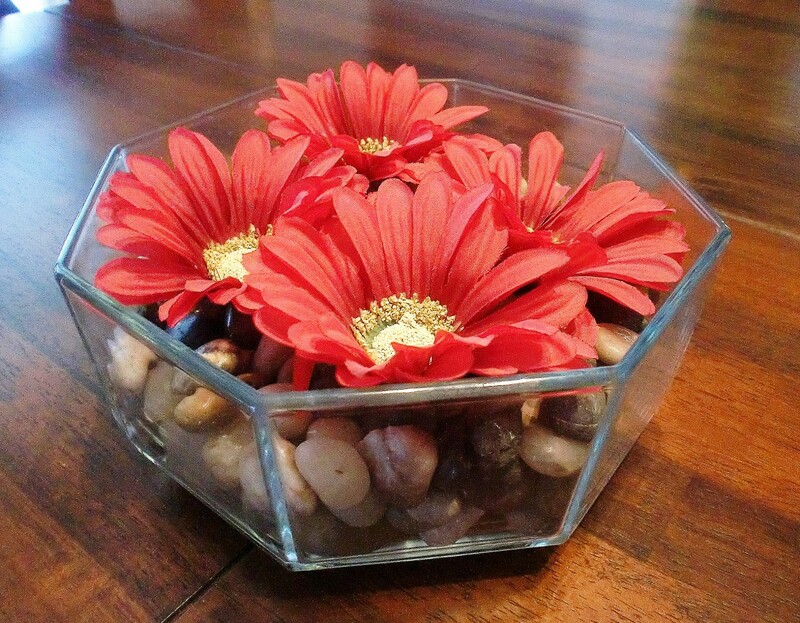 For example, this is my springtime floral centerpiece. 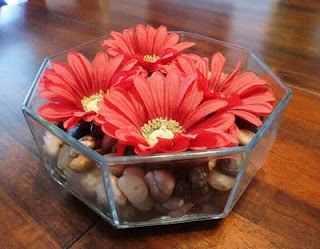 I love these flowers and the rocks made the perfect "bring the outdoors in" piece. But it's really heavy for summertime. So to change it up, I just switched out the dark rocks for some aquamarine glass pebbles. They're clear so they feel much lighter, and the color looks just like the summer beach. Thirty seconds and you've got a fabulous summer decoration. * Exchange your heavy comforter for a lighter quilt or throw. * Trade thick fabrics for brighter colors and transparent cloth. 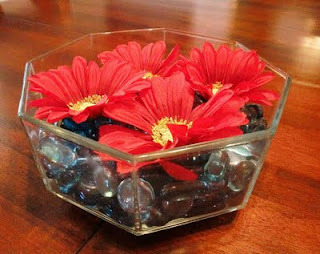 * Fill your home with plants and flowers. * Focus on natural lighting, natural color combinations and nature in general. * Choose prints that fit your summer theme: think patriotic, nautical and bright whites.